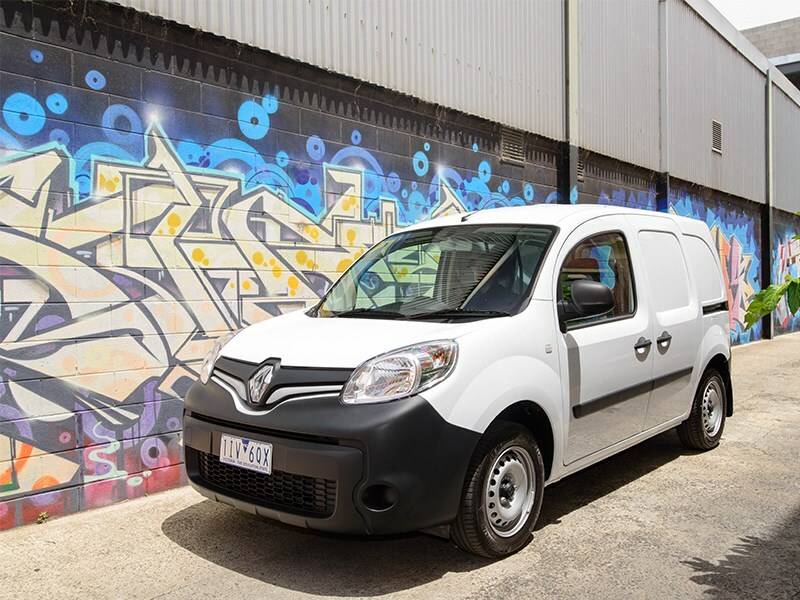 Renault’s LCV evolution continues in Australia with the addition of a new mid-sized Trafic van variant and a new pint sized petrol power plant for the Kangoo Compact minivan. 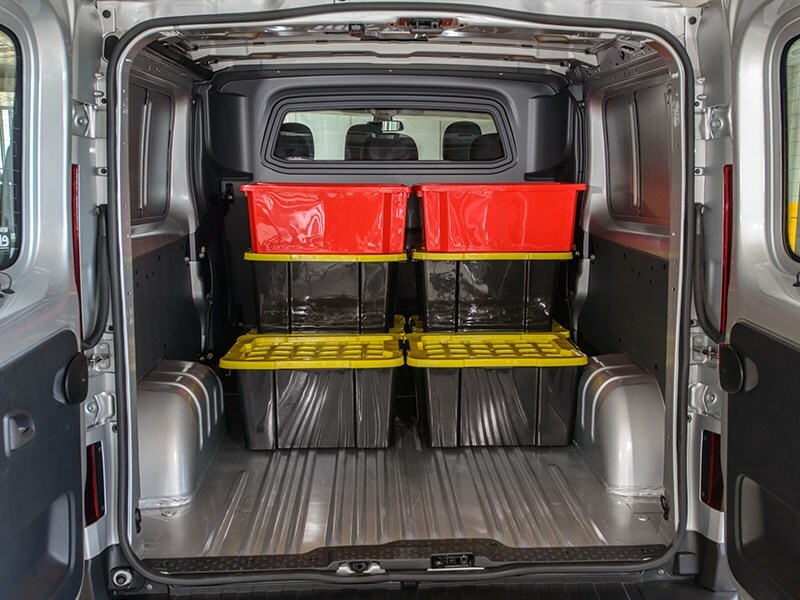 The Renault Trafic Crew is hoped to expand the appeal of dual purpose LCVs for small business owners as well as providing comfortable wheels for those needing to get staff on site in relative comfort. With the option of seating for six including the driver, the Trafic crew separates the passengers from the cargo with a glazed bulkhead. The cargo area still has 4 cubic metres of load area and can handle a payload of a tonne. 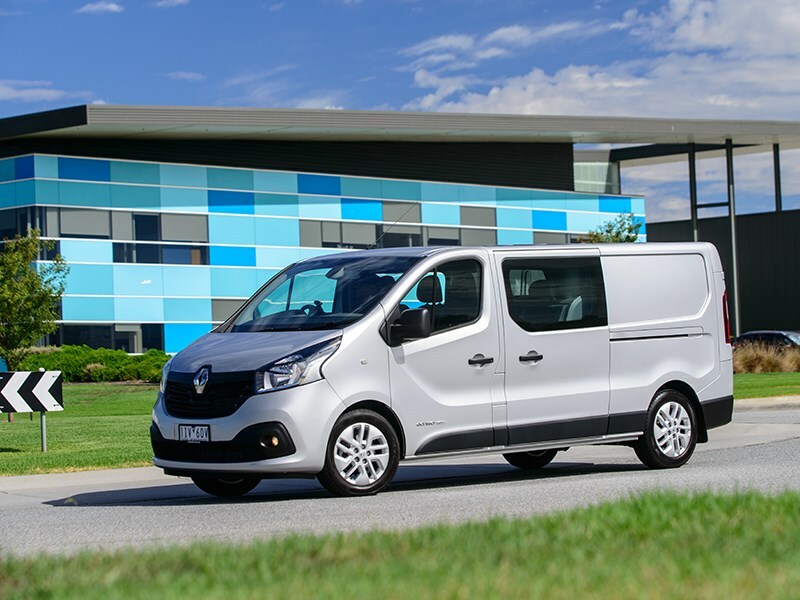 Slowly but surely, Europe’s best-selling LCV brand has been chipping away at Aussie van buyers with the aim of providing a light commercial focused dealer network schooled in the dark arts of keeping working wheels working. 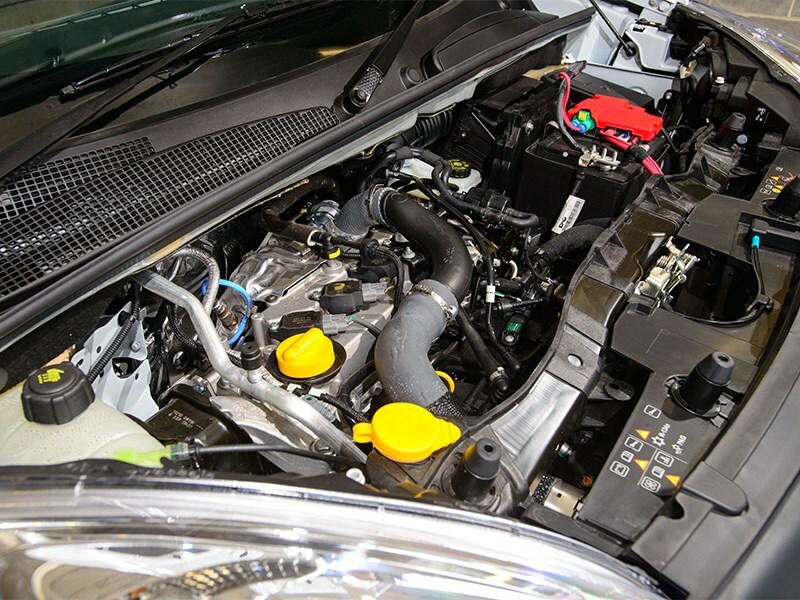 Renault’s LCV model line manager Lyndon Healy makes no bones about wanting to establish and consolidate his Pro+ dealer network with a focus on flexible servicing hours to keep businesses on the road. 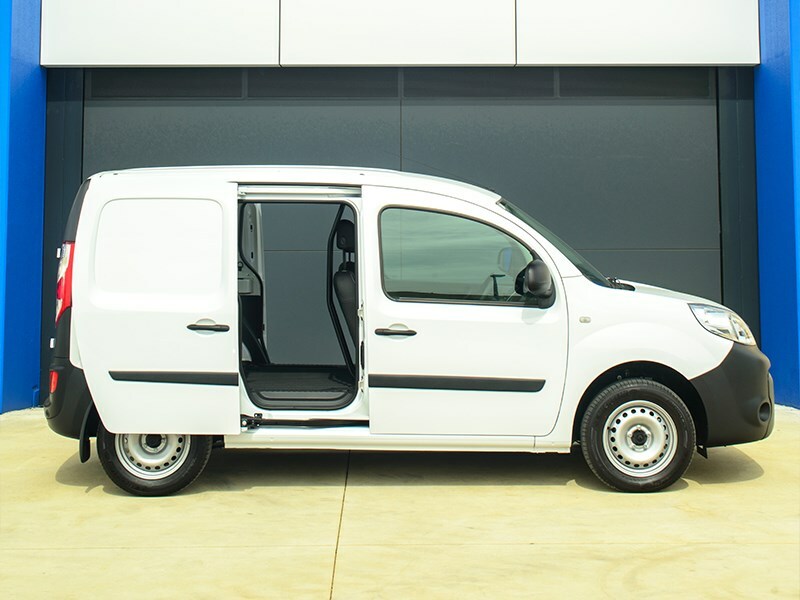 One thing that will no doubt appeal to potential van buyers is the Trafic’s 30,000km service intervals as well as the clearly commercial 3-year/200,000km warranty. Capped price servicing of $349.00 for the first three services also applies. Crew vans aren’t new to this market, in the hotly contested, yet Toyota dominated mid-sized van segment of the market all of the major players have a crew option. 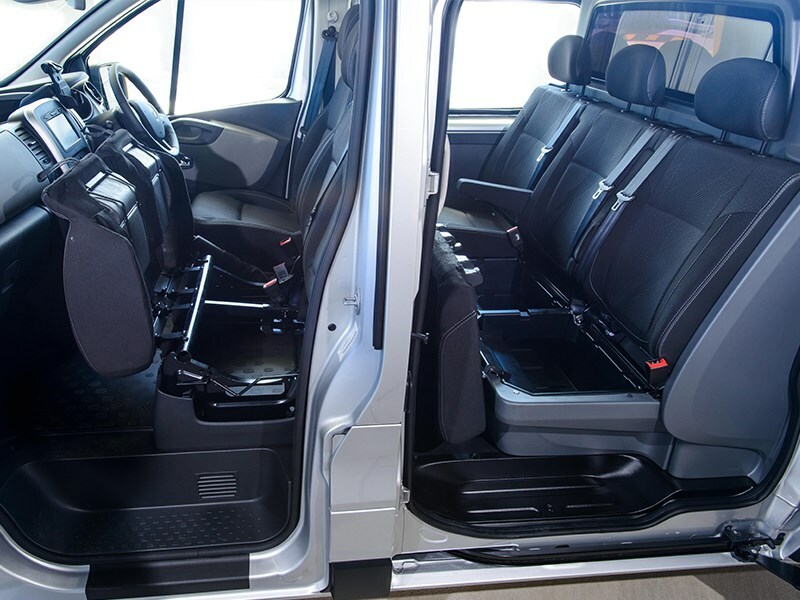 However, this may be the first time that we’ve seen a van that uses the rear seating as a plush dedicated passenger compartment rather than utilising a bolt in, or roll and tumble bench seat arrangement. The long wheel base Trafic Crew still utilises the DCi 140 twin-turbo version of Renault’s diminutive 1.6 litre engine. There is no auto option and the front wheels turn via a 6-speed manual transmission. The deceptively small DCi donk puts out 103kW at 3,500rpm and makes 340Nm of torque at a low 1500rpm. This engine is clearly heavily dependent on sequential turbo-charging to gather its oomph. But this also leads Renault to claim a not too shabby 6.2l/100km combined in the fuel economy stakes. The Crew offers two option packs on top of the base crew variant, a vocationally focused Premium Pack which features 17-inch alloy wheels, a 7-inch touchscreen multi media system with sat-nav or the more family friendly Lifestyle Pack. The Lifestyle adds touches like speakers in the rear and courtesy lighting. Roller blinds for the sliding door windows are also a part of this option. There’s also the option of a three across bench style seat in the front or two single buckets. 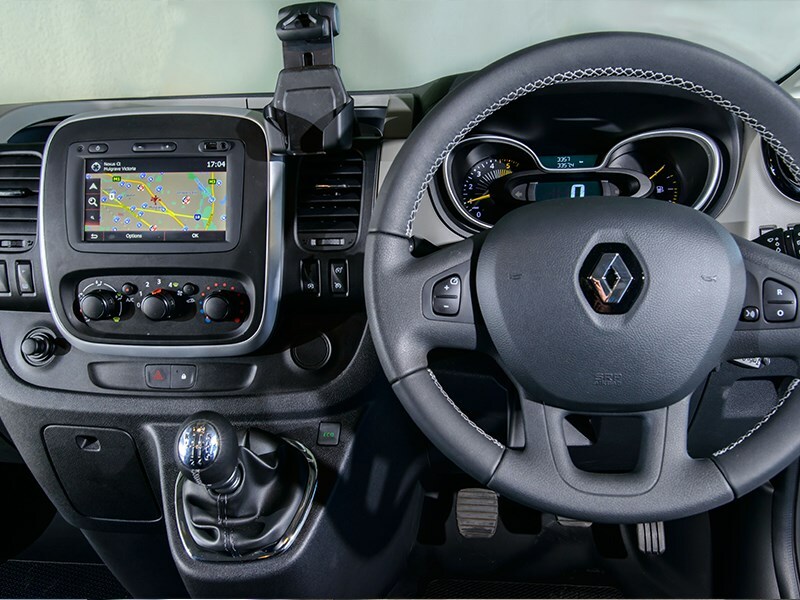 The baby of Renault’s LVC line up, the short wheel base front-wheel-drive Kangoo Compact has now scored a 1.2 litre turbo petrol engine and just as significantly this also now comes with a 6-speed EDC dual clutch automated transmission. This drive train is also shared with the Clio and Megane passenger car models though in this case with a tweak for extra torque. This drivetrain replaces the outgoing 1.6 litre petrol and 4-speed AMT model. The little 1.2 uses forced induction to make 84kW at 4,500rpm and puts out 190Nm of torque at 2,000rpm. This Kangoo is also offered with a 6-speed manual ‘box as well. In the back there’s 3 cubic metres of load space and manual variants can carry 675 kg while the AMT equipped models can carry up to 540kg. The manual Kangoo is also rated to tow 1050kg (braked). Towing behind the auto though is a no-no. The baby Renault has also seen improvements in NVH with more load area insulation to address the inevitable resonant rumble from the rear. According to Healy the Kangoo has to date been somewhat of a sales star. And the focus of this model is based on economy and low cost of ownership. 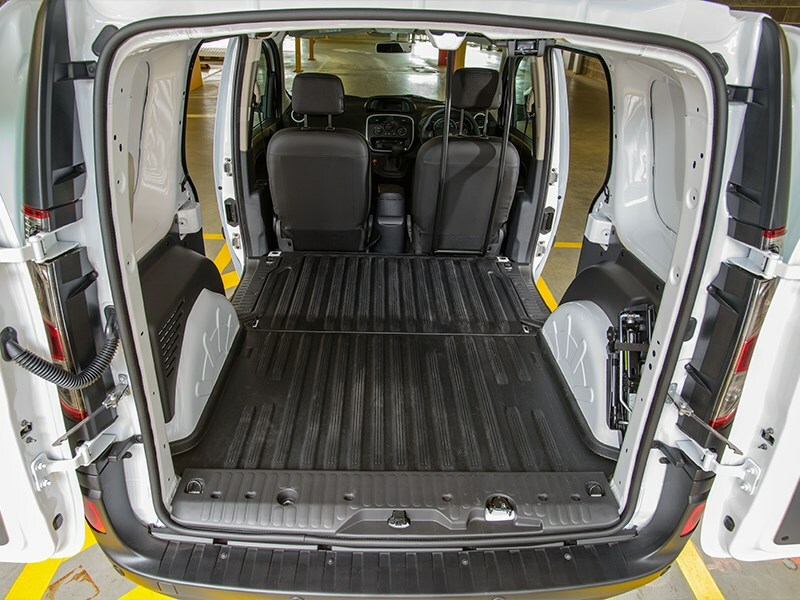 There are plenty of load area options for the little van from a retractable roof flap over the load area to a fold flat passenger seat and swiveling load barrier. Driving the Trafic Crew is pretty much like, well….driving the Trafic van. The DCi140 engine is torque from low revs and with 375kg strapped into the load area it sat on the road quite well. The extra weight didn’t dull the edge of the 1.6 anywhere near as much as expected. The bulkhead and extra row of seat also serve to limit any driveline rumble from the rear. It’s actually pretty quiet, even on the highway. The 6-speed manual shifts nicely as well. It feels pretty plush for working wheels. Rear barn doors make forklift access easy, however I’d be loathe to sit a tonne in there and drive any distance. Ideally you’d want to carry the load between the axles not sitting on top of or behind the rear axle. Though I doubt many crew vans run at max weight very often. But the really interesting drive was the little Kangoo Compact. The petrol powerplant and EDC gear box are a nicely integrated unit. As far as AMTs go the EDC auto is not bad. It does hesitate and bog down a little behind the revvy little engine but once it gets some pace up it does pretty well. The addition of a couple of extra gear ratios to the auto has dropped cruising rpm significantly which makes it a much nicer drive when cruising. My pick though is still the stick-shift. The manual makes the most of the engine’s power and torque. As a base van the interior of the Compact was pretty spartan which makes sense as a fleet vehicle, however tick a couple of option boxes and you’ll have a touch screen media unit and a reverse camera which rounds out the Compact nicely. Our Kangoo drive vehicles were empty so we can’t report on how they tackle a load. But we can say that for what is essentially a tin shed on wheels NVH levels were pretty good. The Kangoo Compact has become a slick and sophisticated little parcel hauler and the driveline works well, even with the AMT. But it’s the Trafic that I find quite interesting. The base Crew variant is a $3,500 option over current standard van. It’s alike a dual cab ute for people that dig vans. And to be honest it drives better than a ute and is far more economical. It just doesn’t have the tough guy image. The lack of an auto rightly or wrongly hamstrings it’s appeal. That said it’s a smart option for those that are into hauling both people and product.